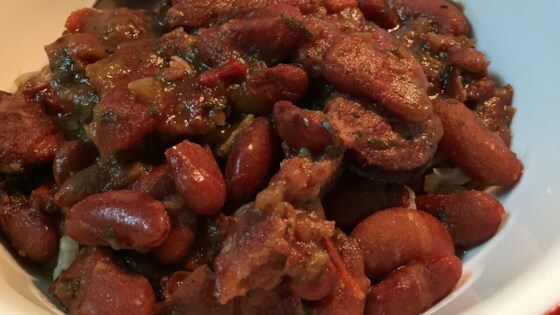 "I am from the South, and red beans and rice is a weekly tradition in my house. This recipe is cooked in no time, thanks to the pressure cooker! Serve over hot cooked rice." I like Conecuh® hickory-smoked sausage from Alabama. Cajun seasoning varies in heat level and saltiness, so adjust the amount to taste. You can make your own Cajun Spice Mix with this recipe.